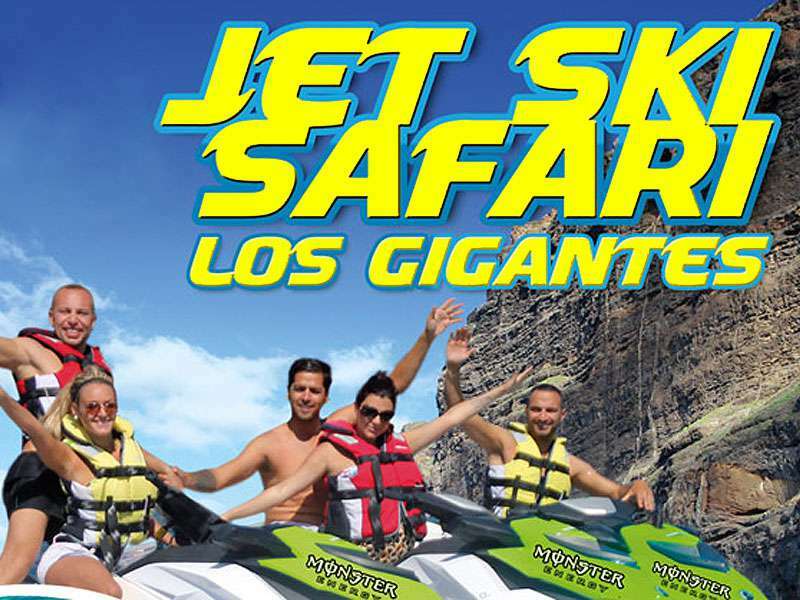 Jet Ski Safari Los Gigantes S.L. 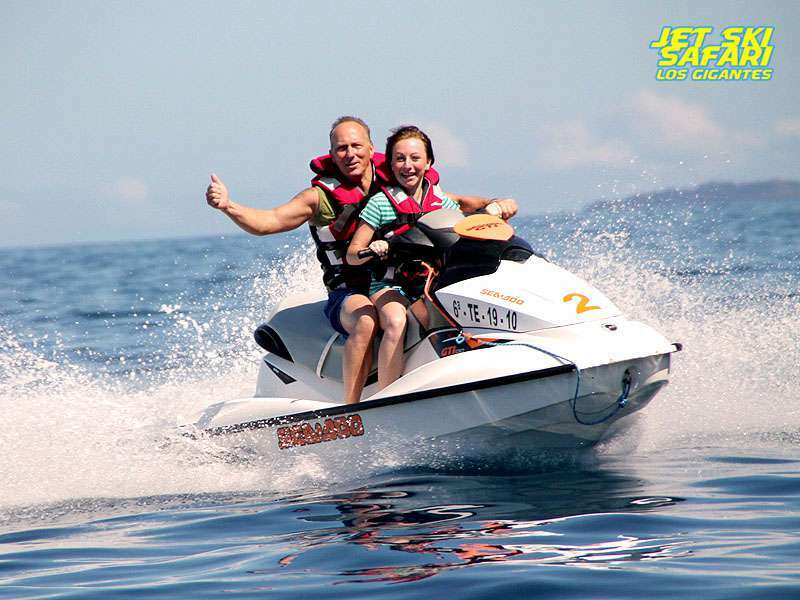 is the number one company in jet ski trips. Each one is guided by professionals who support the client all the time. 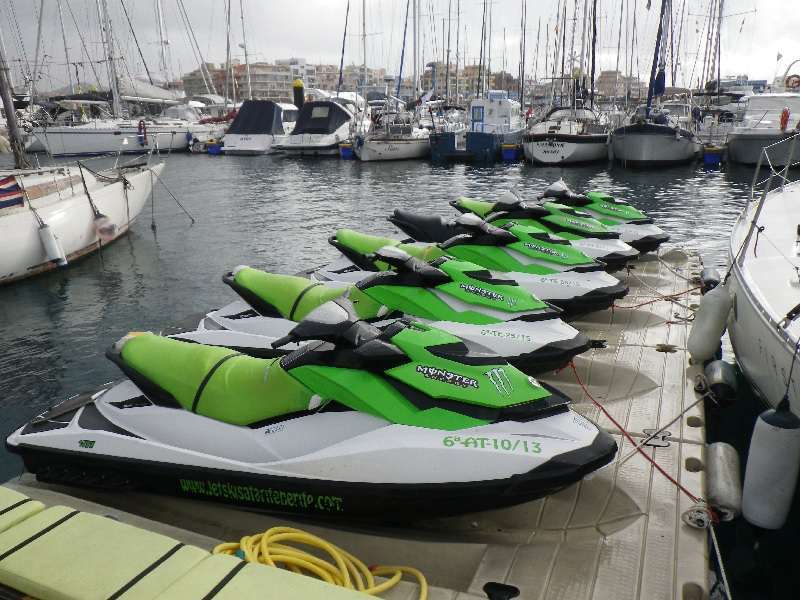 1 hour: Departure from Marina del Sur Las Galletas, bound either Los Cristianos or Montaña Roja. 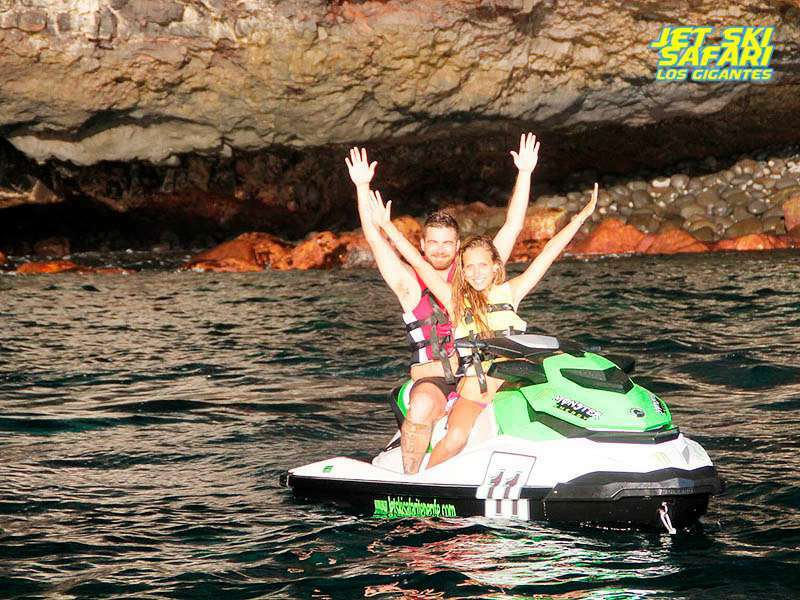 It depends on what our professionals decide aboard a semi-rigid boat that will accompany you at every moment. Guiding you and taking photographs with professional cameras so you can enjoy with such beautiful photo report. 2 hours: Departure from Marina del Sur Las Galletas, bound either La Caleta or El Médano. It depends on what our professionals decide. You will be also offered diving goggles, snorkels and an underwater torpedo so you can practice snorkel. Both trips will have some stops in different landmarks so we can take pictures and even swim. We offer in both trips: to pick you up and return you to your accommodation/bus station… water, hot showers, lockers for belongings, wetsuits, life jackets and liability insurance, everything inclusive. 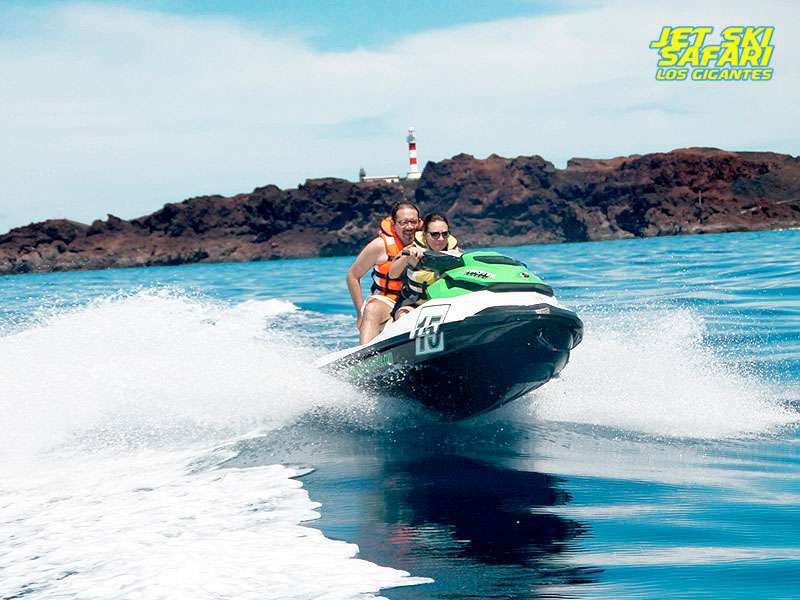 Jet Ski Safari Los Gigantes S.L Tenerife thanks you beforehand for choosing us and hopes you to enjoy in our pristine waters teeming of wildlife. Driver: Minimum 18 years old or 16 with parental consent. Children: Minimum 10 years old. 60 km discovery trip along the cliffs of Los Gigantes NO STOP. On this excurstion we will take you from Los Gigantes marina along the base of the cliffs, you will discover the wonderfull marine life of the area. 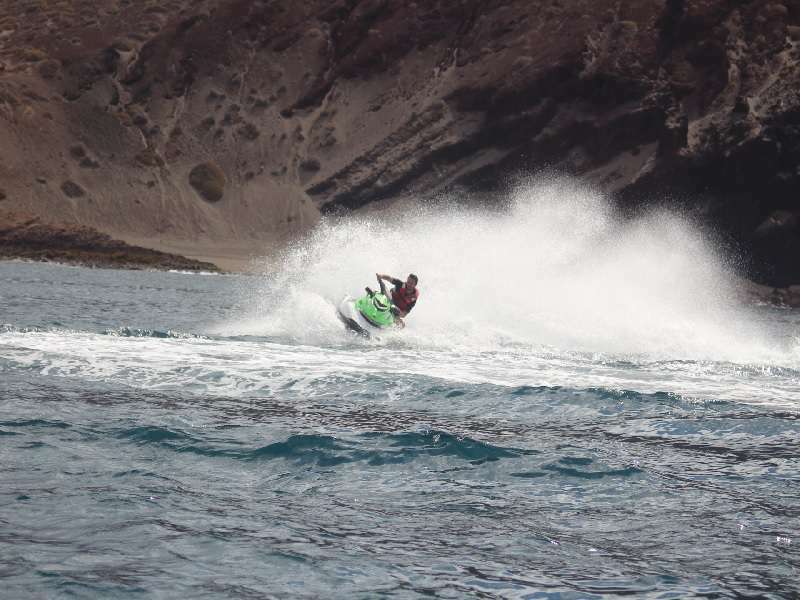 We will also make a short stop in the majestic Masca bay. Transport: Free pick-up-service from and back to the place where you are staying. Ages: Minimum Age 18 years. 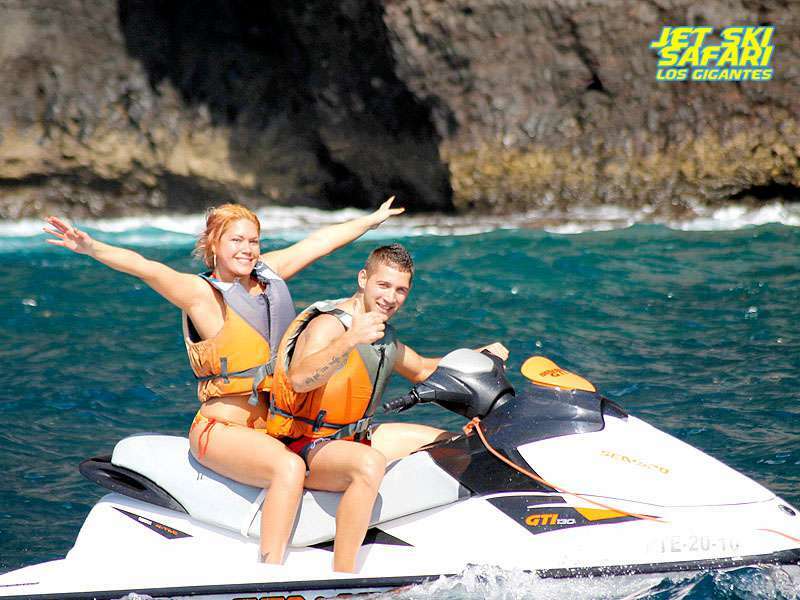 Minimum age to drive the jet-ski is 16 years, with the authorization of the parents. Children are accepted from the age of 8. Departures: from Los Gigantes. Consult pick ups. 60 km trip, starting in Los Gigantes towards the island’s edge called Punta de Teno, visit of the water grottos, the bay of Masca, bathing in the crystal clear waters with a diver tug.On our journey we will go along the base of the cliffs passing by different bays, on our way back will be take you into the aquatic caves and stop for a short swim in Masca Bay to expolre the marine life with snorkels and goggles provided. 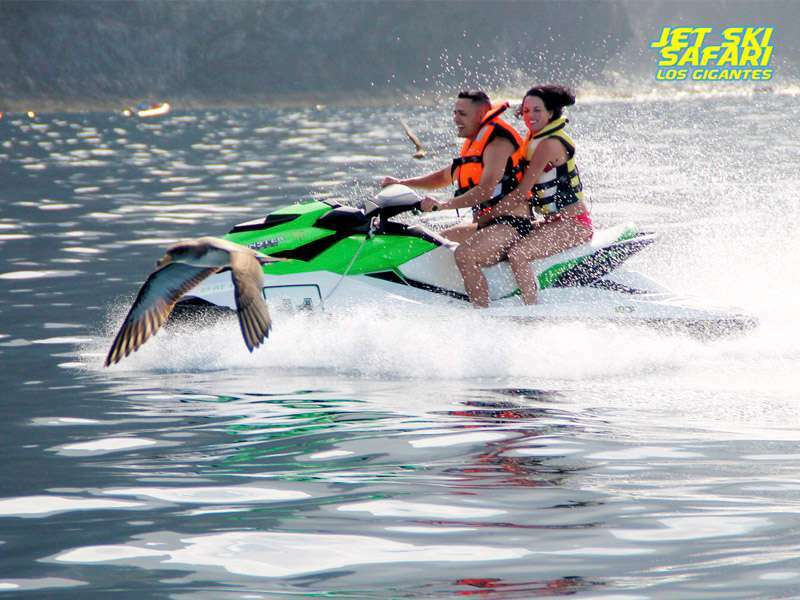 Ages:Minimum Age 18 years.Minimum age to drive the jet-ski is 16 years, with the authorization of the parents.Children are accepted from the age of 8. 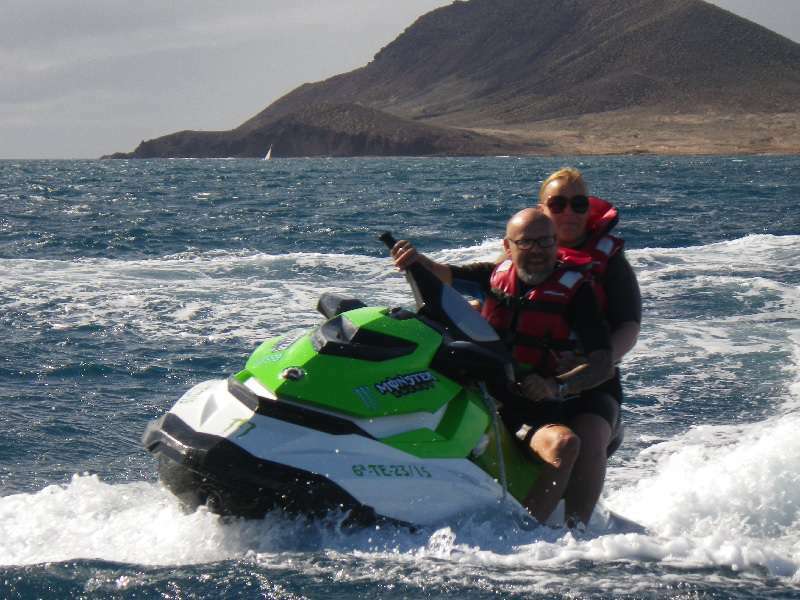 60 km trip, starting in Los Gigantes towards the island’s edge called Punta de Teno, visit of the water grottos, the bay of Masca, bathing in the crystal clear waters with a diver tug. 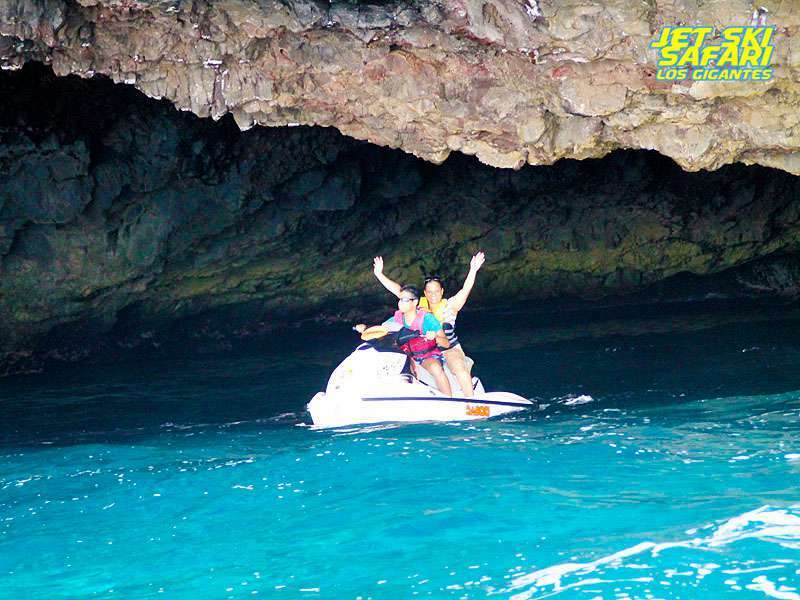 On our journey we will go along the base of the cliffs passing by different bays, on our way back will be take you into the aquatic caves and stop for a short swim in Masca Bay to expolre the marine life with snorkels and goggles provided. Romantic safari during the sunset. It includes a bottle of champagne.